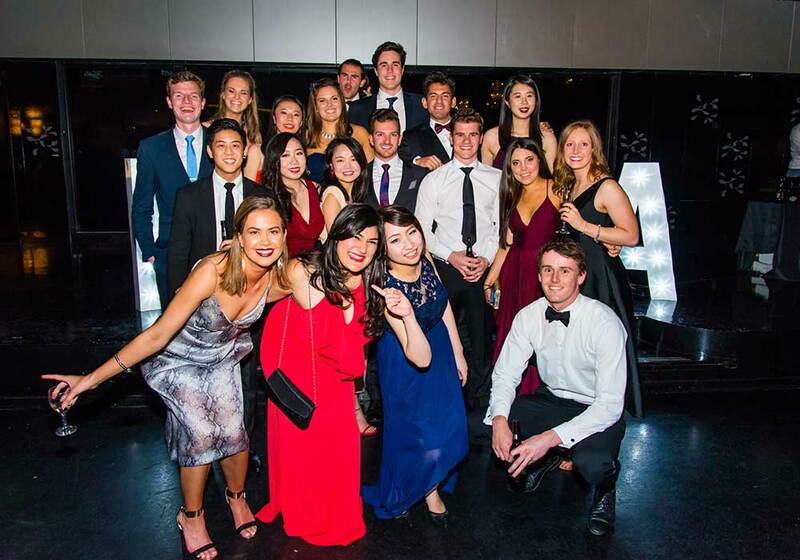 Regarded as the highlight of Melbourne Business School’s social calendar, the annual Business Ball is a dedicated opportunity for current students, their guests and alumni to mingle and catch up. It’s the perfect event to mark the mid-semester break, and a chance to celebrate with friends before the pressure of final assignments and exams begin. 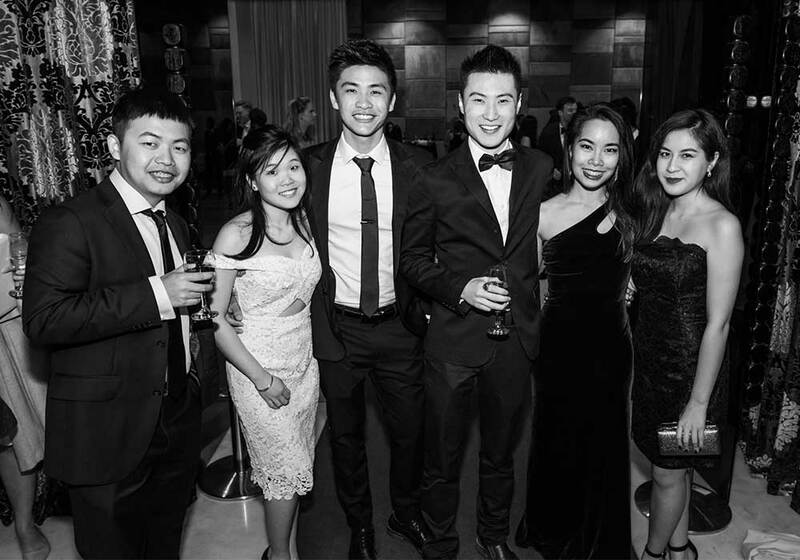 Held at the heritage-listed Melbourne Pavilion, the Business Ball hosted over 300 attendees on Friday September 30. Guests were given the red carpet treatment on arrival, complete with a professional photographer and videographer to capture the evening’s stunning outfits and smiles. Subtle black and gold themed décor extended to the crystal chandelier table centrepieces and gold firework animations on LCD screens. Life-sized ‘MBSSA’ letters lit up in show lights on the stage and golden balloons spelling out ‘BALL’ offered some novel photo opportunities, as well as the ever-popular costumed photo booth run by Beauty and the Booth. For the social media enthusiasts, there was an Instagram competition that included prizes from the events’ major sponsors (Kiehls and Tailors Mark) and a personalised geo-filter for Snapchat. All photos will be available on MBSSA’s Facebook page soon. Michelle Ho was part of the 2015 MBSSA Committee and is currently completing her Master of Management (Marketing) degree.